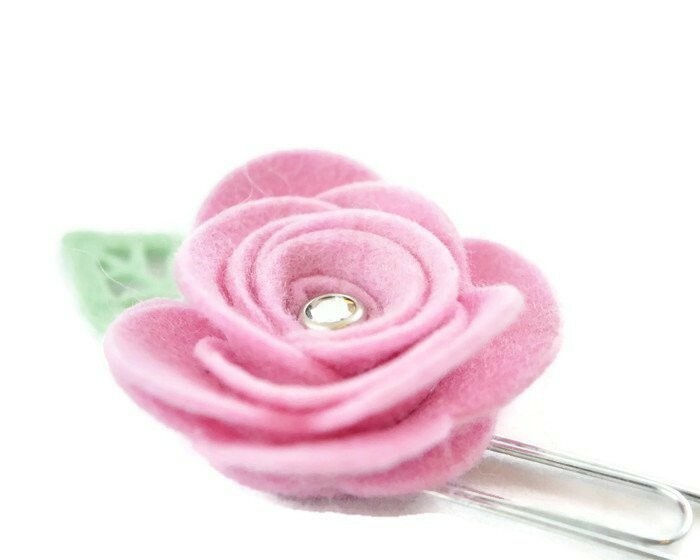 Felt flower in the softest pink mauve tone with soft sage green leaves. if you choose the magnet variation, a beautiful brooch. 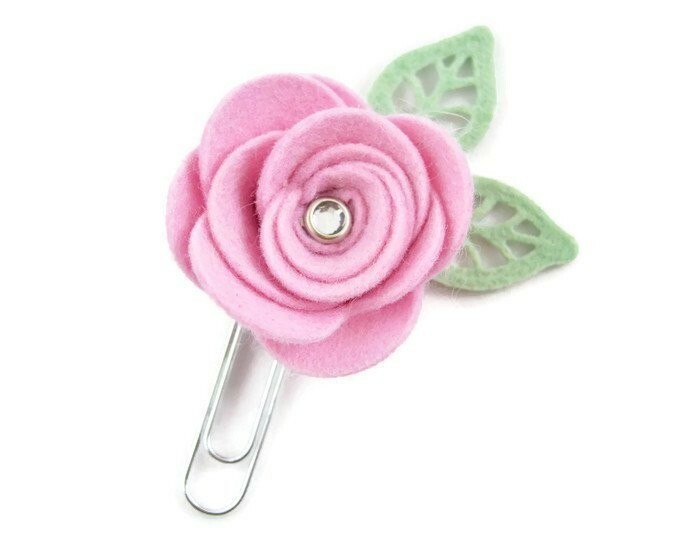 The flower will be mounted on a paper clip unless you advise you would prefer the magnet mount. There is a Message field on the Shopping Cart and Checkout Page where you can let me know. I ship Australia-wide via Australia Post. For International orders, please message me with your order and I can set up a separate listing with your exact postage. For Direct Bank Transfer please use your Surname as the Reference.